This large two floor Site Office is great for those downtown job sites! 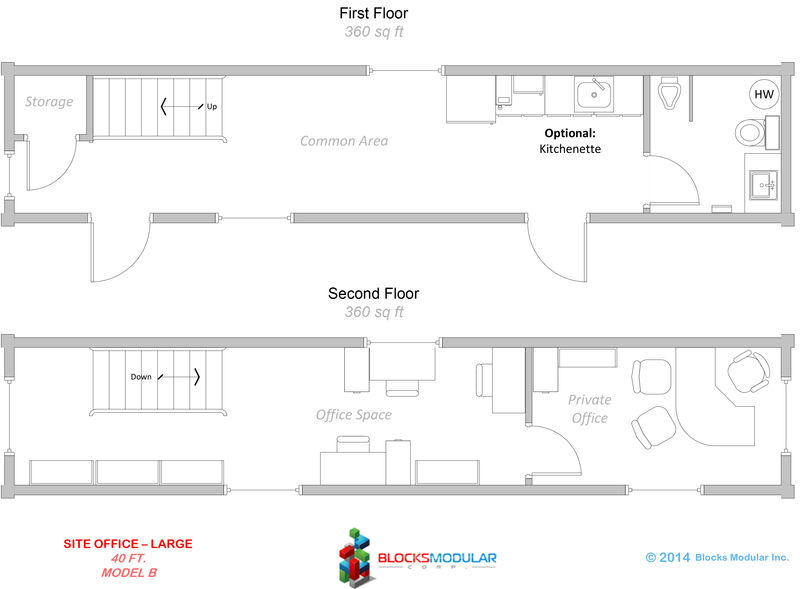 Another large site office, Model B is built vertically to lessen its job site footprint. 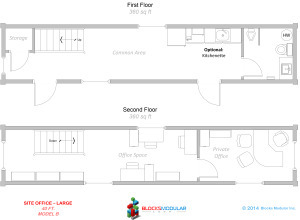 The common area, restroom and kitchenette are on the main floor with offices on the 2nd floor. Small storage areas are located on both floors.